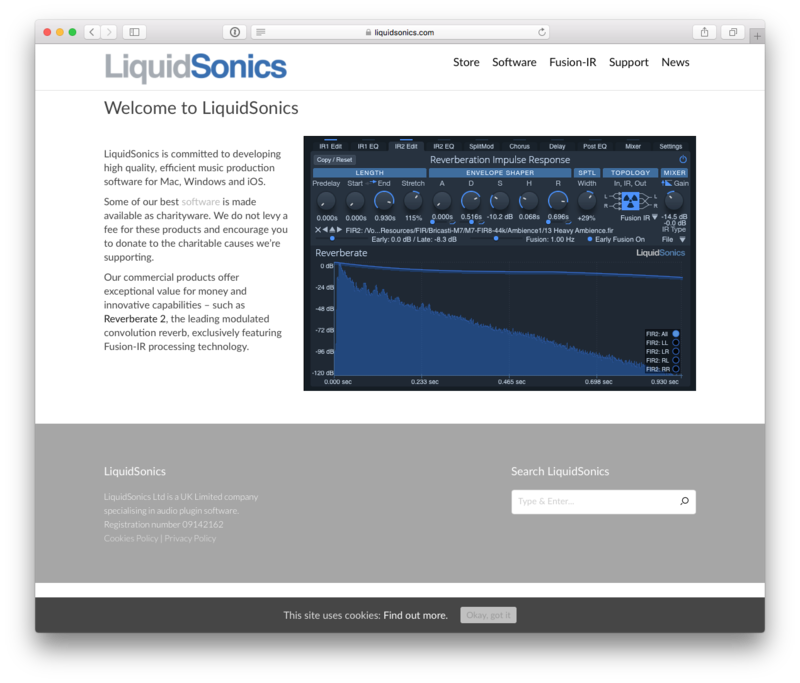 Today the liquidsonics.com website moved to a completely new server infrastructure and set of web technologies. LiquidSonics has grown rapidly in the last 18 months with the very well received launch of Reverberate 2, and we are now welcoming an increasingly large number of additional visitors from Slate Digital keen to download the Fusion-IRs for VerbSuite Classics. For the last six months or so web demand has dramatically outstripped server capacity at times. Our old web host suffered a number of challenging outages and business transitions during this time and it became apparent to support the business as it grows it was time to move on to new providers. So from later today LiquidSonics has a new home. There may be some growing pains associated with the new technology and the new shop may take a few extra days to bring up to speed than the rest of the website. If you have any problems, spot things that are missing, or have poor download speeds please get in touch here or via email so we can fix it. Fully mobile optomised so you can browser the website in ease regardless of your device. A new online store making it much easier to purchase Reverberate and Flitrate online. Integrated bundle and product upgrade process allowing you to make savings. New direct card payment method for those of you prefer not to use PayPal. We look forward to some fantastic high profile product launches in 2017 that wouldn’t be possible without the move, so this year is set to be the best yet!